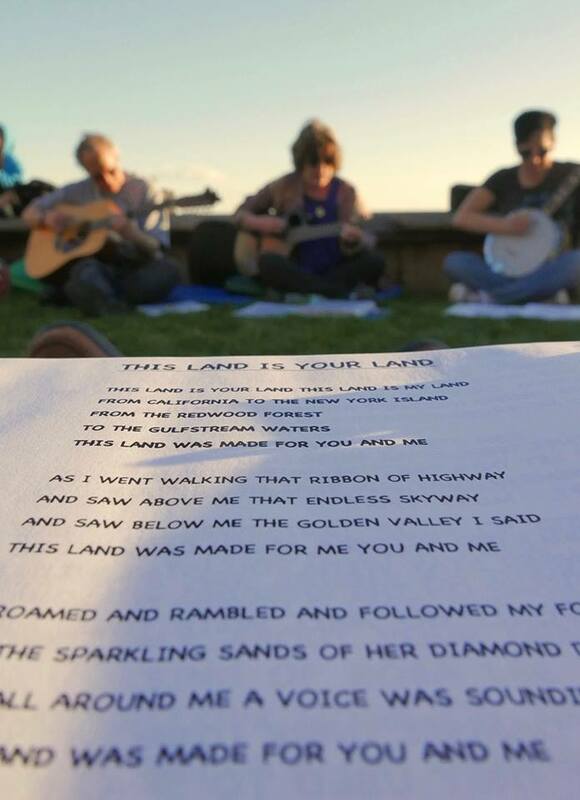 The Sunset Singing Circle, led by singer/songwriter/musician Terre Roche is back for another season at Robert F. Wagner Park in Battery Park City from 7-8:30pm on these Fridays in June – June 8, 15 and 29. Join us as we group sing well-known songs ranging from Traditional and Folk to Pop, Rock and more as the sun sets over beautiful New York Harbor. Lyric books are provided and all are welcome. Visit my Upcoming Events page for more details. I’ll be there with my banjo on my knee!